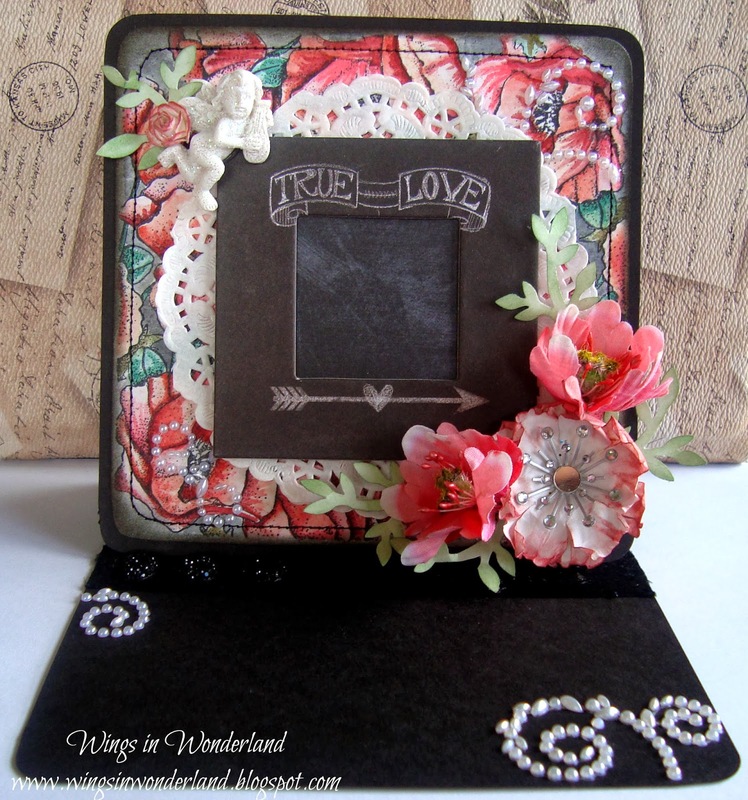 This week I have been playing with the Stacy Cling stamps and my Distress inks to make my own "designer paper" and this little Card/Photo frame was the result. The Stamp I used was the corner stamp from poppies, and I just stamped twice (once upside down) so I got a full image. Just a tip if you are going to colour your images, make sure you use a permanent ink like Stazon which wont run when you add water to your distress inks! 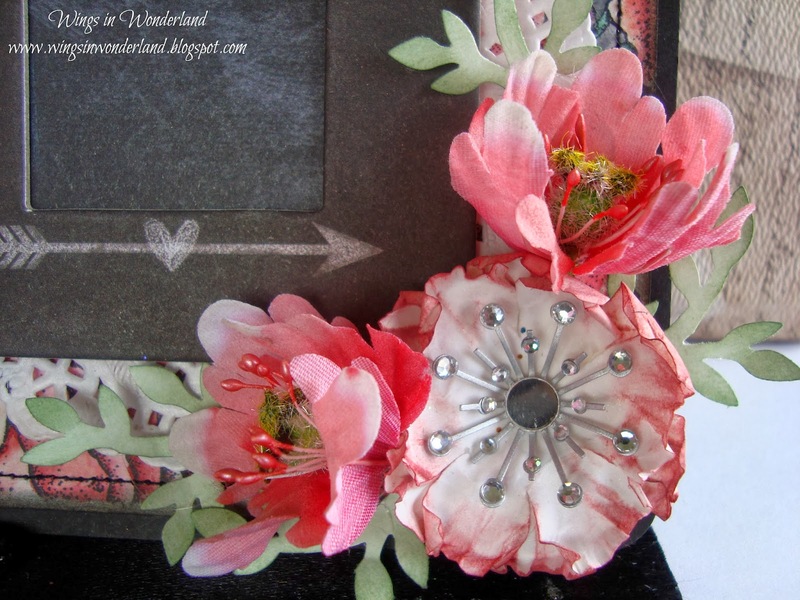 Here is another handmade flower nestled into some Prima silk flowers (which are really bendable and great to use) the center is some bling that I scored in Bev's Bargins so go take a look as she always has some great stuff. And here it is all closed up. 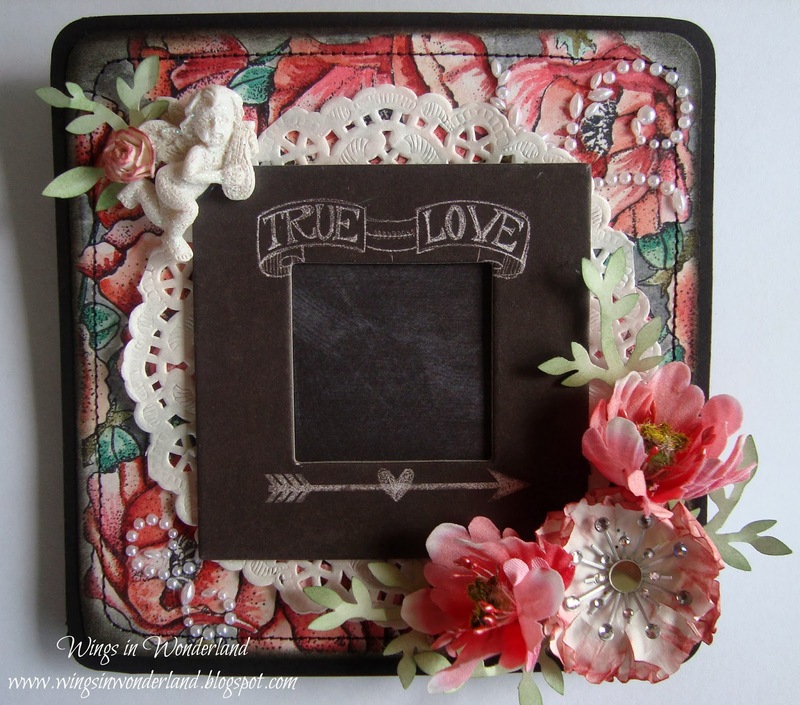 The frame piece is from My Minds Eye and I have added some dimensional tape on the back so you can slip a photo into it before giving away. I must say that the colouring did take quite a while on this one, but it was a very relaxing process. so make a cuppa and give it a go, and you can make your own papers in any colour you like.